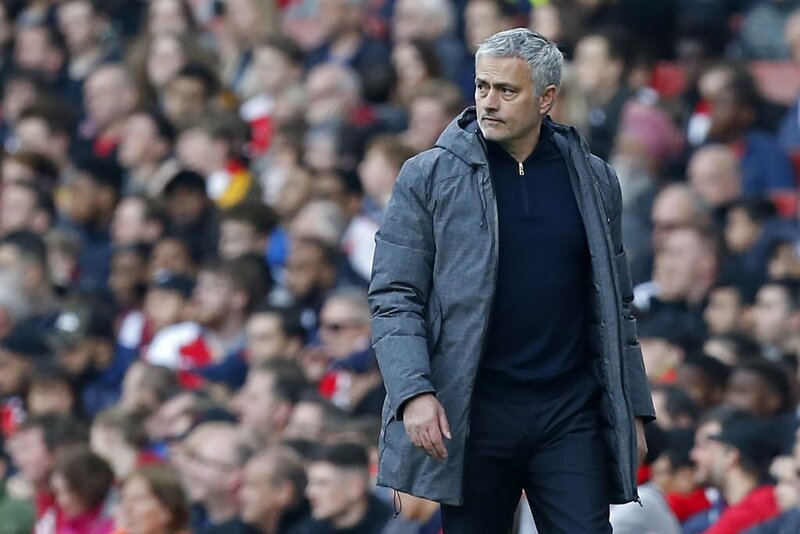 Manchester United lost out to hosts Arsenal at the Emirates this afternoon as Granit Xhaka’s deflected effort and Danny Welbeck’s header meant José Mourinho’s side failed to capitalise on Liverpool, who had dropped points in a scoreless draw with Southampton earlier in the day. The Reds remain in 5th, however, Arsenal now have the chance to put Manchester United back into sixth place as Arsène Wenger’s first Premier League win over Mourinho left them two points behind with a game in hand. As Mourinho rightly said, the defensive pairing had been out for a long period of time and to be thrown into a clash with Arsenal and expected to fulfil 90 minutes was a tough ask. However, it’s not a reactionary judgement to say that the duo haven’t shown anything this season to suggest they deserve another year at Old Trafford. The addition of Eric Bailly has meant fans haven’t had to endure another season of shoddy defending as often, but Smalling and Jones’ inclusion in today’s side brought déjà vu to Manchester United fans, leaving the 25 game unbeaten run in shatters. Smalling and Jones’ main contribution to United’s season was injuring each other whilst on England duty, and after today’s display, it’s clear to see an additional central defender is needed to partner Bailly. A club legend, no debate. A man who has played out of position when needed, given everything for the club, become the top scorer in Manchester United’s history and won 15 honours whilst donning the badge. However, there’s nothing more to offer. Experience? Zlatan Ibrahimovic has it covered. Leadership? Michael Carrick’s there. The 31-year-old saved United at the death against Stoke with a record-breaking free-kick, but other than goals at Burnley and Swansea, he’s done little since. Attempted fouls, screaming at referees and missing chances make up Rooney’s season highlights, perhaps best highlighted when he tried to foul Arsenal’s Alex Oxlade-Chamberlain on two occasions, only to be skinned by the 23-year-old. The early days of Wayne Rooney, the powerful, clinical finisher are dying away and he should leave the club before the memories of what once was completely fade away. In four away fixtures against the Premier League top-6 this season, Manchester United haven’t scored an goal, despite all the attacking flair they possess. Why? Because José Mourinho has set out not to be embarrassed, completely conflicting with Pep Guardiola. However, is he to blame? Mourinho set-up with the intention of gaining something over Chelsea back in October and were annihilated 4-0, allowing N’Golo Kanté to turn three players before slotting home past the troubled David De Gea. Since then, Mourinho has played with 6 at the back, using orthodox wing-backs to support the full-back. Most notably against Chelsea, on the one occasion when this tactic worked. It seems as though Mourinho is sending a message to Ed Woodward and the Manchester United board that the squad isn’t good enough to compete against the top sides of the league, despite however many times he has said he ‘loves his boys’. Marouane Fellaini, Matteo Darmian, Bastian Schweinsteiger and Morgan Schneiderlin and a few other mentionable names are perhaps not what Mourinho wants within his side, if the club are to return to the glory days. The signs of Mourinho’s lack of trust suggest a overhaul will occur at Old Trafford this summer, and one which is needed. Starting against Arsenal away from home in a position that isn’t familiar to you isn’t the perfect setting for a 19-year-old to make their debut, especially at a club like Manchester United. However, none of this affected Axel Tuanzebe. The Congolese-born defender was the best player wearing blue at the Emirates today, keeping in-form Alexis Sánchez quiet for all game. Tuanzebe won 4 tackles against Arsenal, more than any other player on the pitch. He also made 3 interceptions, only behind team-mate Michael Carrick who made 4. Mourinho has included the 19-year-old in the matchday squad on multiple occasions this season, and when the chance finally arrived, boy did Tuanzebe take it. If we didn’t know it already, top four is pretty much impossible for Manchester United now. Liverpool dropping points in the same week-end as Manchester City thrashed Crystal Palace meant United had the chance to finish in the top four back in their own hands. However, Arsenal snatched it away from them. United will have to throw everything they have into their clash vs. Celta Vigo on Thursday, and should they make it into Stockholm, Mourinho’s record in finals will have to live up to the bill if Manchester United are to play Champions League football next season.